To Continue in the Queer and Feminist New Media Spaces fun, I had conducted a series of blog interviews with artists, activists, and scholars engaging with new media and its myriad of intersections. This HASTAC blog interview features Dalida Maria Benfield! As a feminist scholar, artist, AND activist, Dalida Maria Benfield bridges theory and praxis by her engagement with media on several fronts. Benfield provides a rich and rigorous discussion: how media is multiple, feminist, and collective. Media can be created with a"committed-in-process poetics," as Benfield shares. With praxis at the center of her theorization and creation of media, Benfield provides: "It is a correction and a beginning." 1. How does your work, artistic and scholarly, engage with gender/sexuality/ and queer media studies? DMB: I have been involved in cyborg/feminist/queer/U.S. 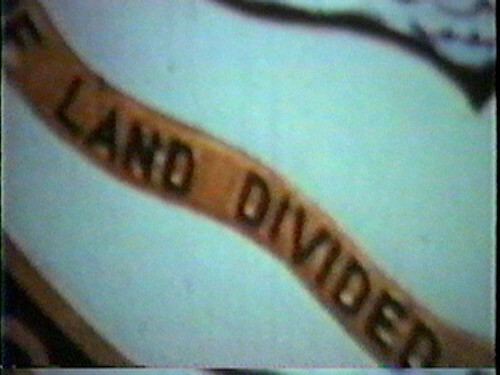 woman of color/Latina/ translocal media art and politics (with different emphases at various times) since 1982... when I made my first super 8 "experimental" film (luckily for me under the tutelage of Abigail Child and was stunned at the power and joy of putting a frame on the world,producing a world through a frame...and a camera has been my cyborgian extension since. My media work, which has usually been collective, has produced lots of different cinematic languages, production modes, and forms of distribution. This has gone through different phases, ebbs and flows spilling across different forms & platforms... including video and performance art, avant-garde/experimental film, activism and organizing, popular media education, community media, university teaching and organizing, and scholarship and writing. 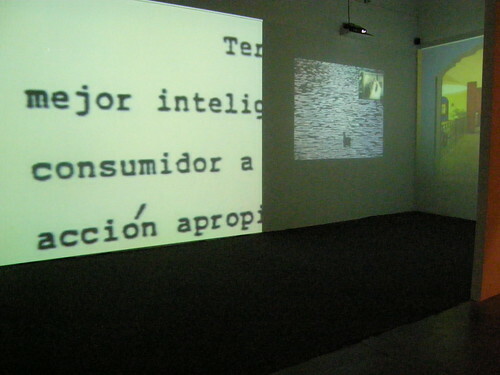 Canal Zone/La Zona del Canal, a single channel video and video installation, 1992 - 1995. I have thought/practiced media politics with different lenses, including a feminist lens, a US woman of color feminist lens, a US people of color lens, a transnational feminist lens, a Third Cinema lens, a Global South lens, a collective/decentered authorship lens, and a decolonial feminist lens. Early on, my work focused more on visual poetry along with critiques of dominant cinema, and representations of women; exploring the possibility of a women's cinematic writing. Soon, however, an approach to cinematic praxis that engaged an intersectional analysis of the intermeshing of oppressions (which I understand through the work of my colleague and former collaborator Mara Lugones) and the imperative of "world-traveling" became the center of my work. 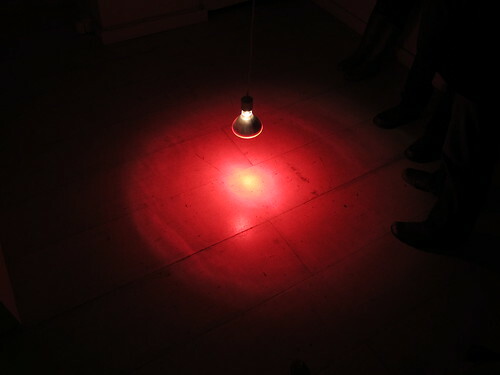 The impact of this was to be less politically dogmatic and prescriptive and more open-ended in my representational approaches, connecting them to people and situations. A multi-dimensional analysis requires multiple dimensions of representation, including a multi-dimensional process of production and reading/viewing/listening. I am committed to a cyborgian "differential" practice (Haraway, Sandoval), which I take to be nota given but a capacity to be continually renewed and practiced. Also, the outside/in/inside/out movement (Trinh) is another crucial capacity, one that is formative for my understanding of the radical possibility of Third Cinema. Video Machete - NO PICTURES conversations in process, 1999 - 2001. Throughout the 1980s and 1990s I benefited from US women of color scholarship on the politics of representation across the registers of literature, cinema and visual art, as well as the theoretical texts of Third Cinema and Latin American Cinema. During these years, I was equally involved in a praxical engagement with production and activism as well as with scholarship. This meant hours and hours and hours of conversation and various forms of productive entanglements. Through this I have a very good sense of the gap that often exists between scholarship and the multiple dimensions of the praxical engagements of artists and activists, and in part is the motivation for my current commitment to research and writing, as I think it's crucial to think and work translationally across these different discursive streams, to create theories and media together and to initiate mobile, dispersed networks of sense, and exchange and support. The many groups and collectives that I have worked with have been committed to creating spaces for activism, production and distribution.These have also been theoretically engaged and intensely politically creative spaces. This work includes being the Program Director at the Women in the Director's Chair FIlm and Video Festival, which was a very active site of Queer and women of color and transnational feminist filmmaking and discussion, and subsequently being on the collective board of that organization for several years (the organization folded in 2006 and the archive is housed at Stanford co-founding and co-directing Video Machete (which included the activist-scholar-artists Chris Bratton, Cesar Sanchez, Bea Santiago-Muoz, tammy ko Robinson, Eric Torres, Roberto Gonzalez, Stacey Goldate, Kyle Harris and Davida Ingram, and many others over the years 1994 - 2007) a media activism space and collective that practiced a inter-trans-cultural/racial/ gender/generational collectivity that I have not seen before or since, which I mention in honor of those compaeros/as (http://www.videomachete.org); and co-founding the Women's International Information Project, which later grew into Beyondmedia Education (http://www.beyondmedia.org/) through the leadership of Salome Chasnoff. Each one of these projects had its own set of constraints and possibilities, through which emerged imaginings and networks. These were/are all sited in Chicago, with translocal effects and relationships. 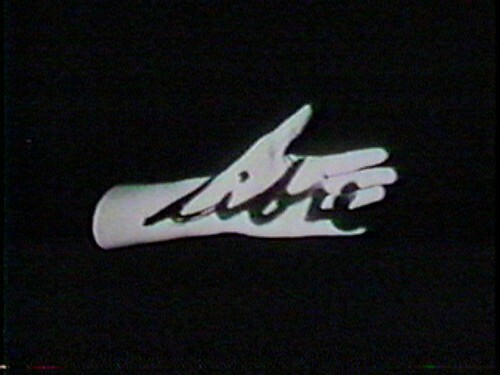 The videos I produced from 1982 - 1994 were auto/bio/graphical works, in which I meditated on questions of race, gender, the body, nation, politics of narrativity, and various other dilemmas of the visual and aural. My videotape, "Canal Zone/La Zona del Canal", was produced over a period of 5 years, and completed in 1994. It marked a kind of culmination of this trajectory of work for me. It was a labor of love for my mother and superimposes her story over the Panama Canal. 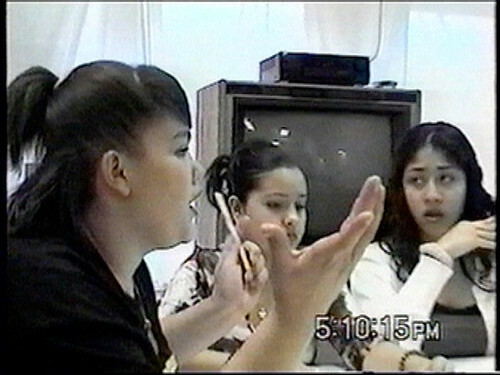 During this time, I also co-produced a video, "Las Mujeres de Pilsen" with the philosopher-activist Mara Lugones. This marked a very important turn toward considering the gendered and raced dilemmas of testimony. The work I produced from 1994 to the present emphasizes the conversations that emerge through different moments of political engagement and the formation of collective relationships. Some of this work also constitutes direct aesthetic/political interventions and actions aimed at very particular urgent situations. At the same time, I have continued to produce other forms of work, including performances, books and net art that explore different questions,often related to personal/political/poetic dilemmas from everyday life. Throughout all of these works, I am also very interested in *conscientizacin* (Freire) as media; and as an ongoing process of non-institutionalized political education/formation; taking the opportunity of art and media as always an opportunity to work politically/personally through challenges and to create an/other imagining/possibility with others. 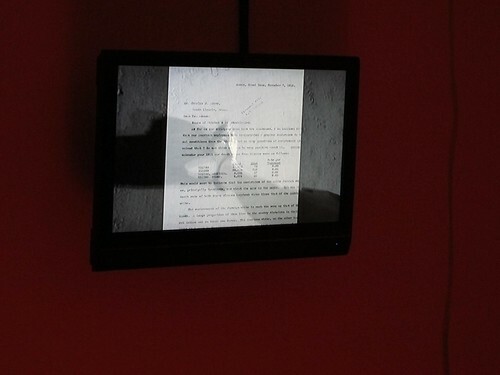 Hotel/Panama, "Decolonial Aesthetics" curated by Walter Mignolo in Bogota, Colombia, 2010. 2. Why might "media" be important to think about in terms of these axes of difference? Including race? Thinking through media along these axes of difference creates spaces for the formulation of relationships and subjectivities that are enabling of a wider set of possibilities, conversations and texts. Axes of difference also constitute quite simply the ground, unstable as it is, from which I speak, think and make media. I have been thinking a lot right now around the co-construction of cinematic media and colonial visualities. This is not a blind alley, but rather is instructive in understanding how and why media is so central in the construction of multiple markers of race and gender, not to mention other binaries and coordinates. This also explains why creating media that stands for multiplicity, produced with other people insubstantially committed and transformative political situations, and that also talks back to racist, sexist, capitalist media, while also centering lots of other gazes, is necessary and transformative work, again, without any orthodoxy or prescription, but with an open-ended, committed-in-process poetics. It also just feels right. It is a correction and a beginning. After many years of thinking of this media as "alternative" media, I grew quite weary of the either/or dialectics of that formulation and am now working on theorizing this media in a more negotiated and contingent way, which for me only opens more possibilities of theorizing its agency. This is very helpful, praxically. I think it's a way out of the isolationist vortex that the phrase "independent media" can and has led to. I also became impelled by a desire to work translocally and transnationally. My political commitments are towards building flexible translocal frameworks, and much media activism, art and scholarship, including that on flexible citizenship, sodalities, netizens, etc. all help to build a case for the absolute necessity of thinking globally, or with a "globality against globalization" (Dussel). In particular, I'm most interested now in how theories of Third Cinema/Third Space praxis can be thought alongside digital cultures, with a more pointed and concise engagement with gender. I think Third Cinema not in the past, but now. The teleologies of modernity have relegated it, along with many other unfinished projects, to a neutralized, gelatinized, irrelevant past. I think it is crucial to wrest this radical philosophy and its multiple cinematic texts from this prison and actively acknowledge its ongoing legacies. Alongside this, I am also thinking the question of the coloniality of power, knowledge and gender (as formulated by Anibal Quijano, Walter Mignolo, Mara Lugones, et al) in the context of what Armand Mattelart describes as the "cult of a project-less modernity that has submitted to a technological determinism in the guise of refounding the social bond." 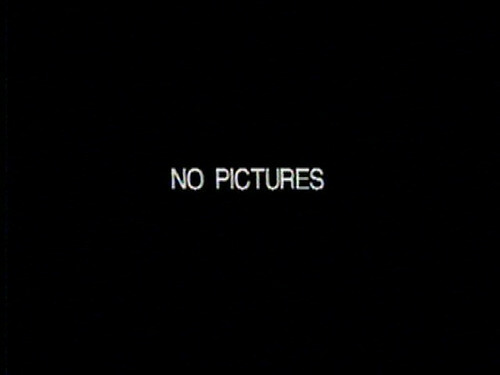 Video Machete - NO PICTURES, 1997. I think that the necessity, desirability and teleology of a global digital order need to be challenged, including the orthodoxy of the digital divide. As a person committed to diverse, distributed forms and spaces of media cultures and production, however, this creates quite a thorny dilemma, requiring a re-formulation of notions of "access" and "media democracy." I did a little bit of this work in the chapter co-authored with Joanna Arevalo for "Making Our Media..." which talks about the World Summit on Information Society, which I attended as a co-organizer of the North American Media Justice Delegation. We critique the dominance of the "ICT4D" paradigm, question its embedded capitalist, nationalist and citizenship projects, and also call for further work on comparative, translocal articulations of media and communication rights rather than a transnational discourse that tends to elide differences not to mention non-citizens. Fortunately, along with many who are questioning the orthodoxies of discourses of human rights and women's rights (Boa de Sousa Santos, Silvia Rivera Cusicanqui, en.wikipedia.org/wiki/ Silvia_Rivera_Cusicanqui, Gayatri Spivak, amongst others), development and technology (Arturo Escobar, Ravi Sundaram, Sarai and Raqs Media Collective, Geert Lovink - see the incommunicado reader (http://networkcultures.org/wpmu/portal/publications/ inc-readers/incommunicado/), and even sustainability (Catherine Walsh, http://www.sidint.net/interview-with-catherine-walsh-human-development-and-buen-vivir/), there seems to me to be the opportunity for producing a decolonial approach to global ICT and media production that discerns and avoids the traps of the geo-politics of race/gender/knowledge that are part and parcel of the colonial matrix of power... it is towards this that I hope my work will contribute. "Watch/Wait", Emergency Bienniale in Chechnya (http://www.emergency-biennale.org/) curated by Evelyne Jouanno, Bialystok, Poland. Photo by: Michal Strokowski. 2008. To contact Dalida Maria Benfield directly, please email: dalidamariab@gmail.com.